Recently, in Ways Men Pass Time: Macon, North Carolina resident Dave Hemingway won the annual Ernest Hemingway look-alike contest in Key West, Florida. 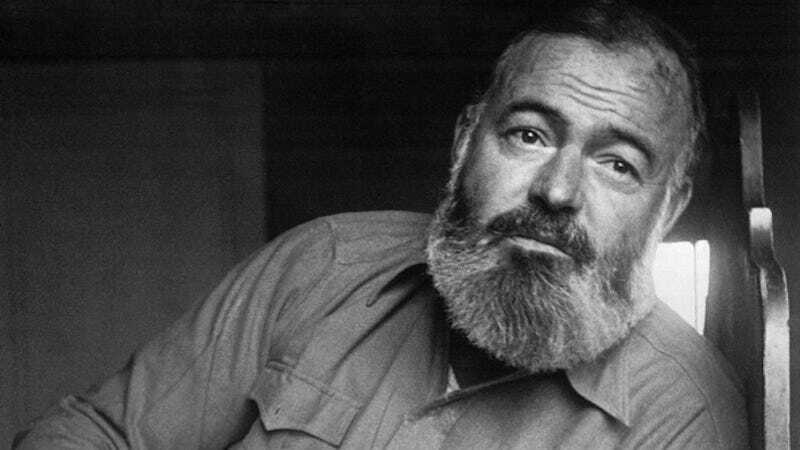 Hemingway is not related to the author. As The News & Observer reports, hoards of bearded men have vied for the “Papa” Hemingway Look-Alike Contest trophy for 36 years. The competition is held at Sloppy Joe’s Bar, where the author of The Sun Also Rises and A Farewell to Arms drank during his 1930s Key West residency. One hundred and forty aspiring Hemingway doppelgängers competed this year, most dressed in identical khaki ensembles, though Dave Hemingway opted for a cream-colored turtle sweater in order to mimic one of the author’s other iconic looks. Incidentally, Paula Deen’s husband, Michael Groover, has participated six times and ranked in the top five for two years in a row. Dave Hemingway, who entered for a seventh time this year, is the first winner in the contest’s history to share the author’s surname. You can see footage from this year’s contest below. It’s weird.